Morra Gambit Declined - Chess Gambits- Harking back to the 19th century! After 1.e4 c5 2.d4 cxd4 3.c3, Black does not have to play 3...dxc3. One mistake that Black can make is to overlook the fact that White is threatening to play c3xd4, gaining control of the centre with the pawns on d4 and e4 controlling the key central squares c5, d5, e5 and f5, such as with 3...e6, 3...d6 or 3...g6. Avoiding 2...cxd4 is also not recommended (2...d6 3.dxc5, 2...e6 3.dxc5) although 2...g6 is playable, perhaps envisaging transposition into a system that Charlie Storey has christened "The Sniper" following 3.dxc5 Bg7 4.Nc3, which is tricky and unorthodox but should be slightly better for White. Of the lesser ways of declining, 3...e5 is worth a mention, as this is quite reasonable for Black if Black does not take on c3 afterwards. After 4.Nf3 Nc6 5.Bc4 (5.cxd4 exd4 6.Nxd4 Nf6 leads to equality) 5...Nf6 6.Ng5 d5 7.exd5 Nxd5, play is reminiscent of the Two Knights Defence, and Black can probably keep the chances level, especially as White's knight sacrifices on f7 don't work out very well. 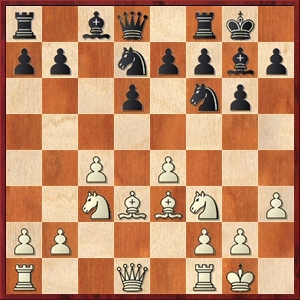 The 3...d5 variation, sometimes used by club players by analogy with the well-known equalizing response to the Danish and Göring Gambits that arise from 1.e4 e5, is typically underestimated in most sources and, in my opinion, is more of a test for White than 3...d3. Because Black has played ...c5 rather than ...e5, following 4.exd5 Qxd5 5.cxd4 White is well-placed to gain time on the black queen with Nb1-c3 without being met with an immediate ...Bf8-b4 pin, and can steer towards favourable "isolated queen's pawn" positions, but Black has plenty of resources and with best play White probably gets just a small edge. Note that the 3...d5 variation can arise via transposition from the Caro-Kann Defence (1.e4 c6 2.c4 d5 3.cxd5 cxd5 4,exd5 Qxd5 5.d4, and 1.e4 c6 2.d4 d5 3.exd5 cxd5 4.c4 Nc6 5.cxd5 Qxd5). As Mark Nieuweboer has pointed out to me, some lines can even arise from the Queen's Gambit as well, if Black meets Nb1-c3 with ...Qd5-d8. Of greatest importance against the Morra, though, out of the declining variations, is 3...Nf6 which counterattacks against e4 and tends to transpose, following 4.e5 Nd5, directly into the line 1.e4 c5 2.c3 Nf6 3.e5 Nd5 4.d4 cxd4, since if White plays 4.Bd3?! then the bishop is misplaced following 4...dxc3. White can continue to offer a gambit for another couple of moves with 5.Nf3 followed by 6.Bc4, which gives White good compensation for the pawn if accepted, but Black can simply continue developing with ...Nc6, ...d6 (challenging the e5-pawn), ...Be7 and ...0-0, leaving White with no good alternative to 7.cxd4. White can hope to generate attacking chances on the kingside due to the kingside space provided by the strong-point on e5, but I think that with accurate play Black should be able to equalise. I refer readers to Michael Goeller's extensive Smith-Morra Gambit bibliography. The declined variations with 3...Nf6 are particularly important. 3. 3...d5 4.exd5 Qxd5 (with notes on 4...Nf6?!) 5.cxd4 Nc6 (or 5...Nf6) 6.Nf3 Bg4. After 7.Nc3 Bxf3, leads to a sharp queenless middlegame which should favour White. 5. 3...d5, with an early ...e7-e6. All lines following 3...d5 should slightly favour White, but are not too bad for Black. 6. 3...Nf6, with 4.e5 Nd5 5.Nf3 e6 (or 5...Nc6 or 5...d6) 6.cxd4. 7. 6.Bc4- Black grabs two sacrificed pawns on c3 and b2 and gets into bother. 8. 6.Bc4, Black simply continues developing. Black goes astray in this game and gives White attacking chances, but I think that theoretically Black is doing fine.